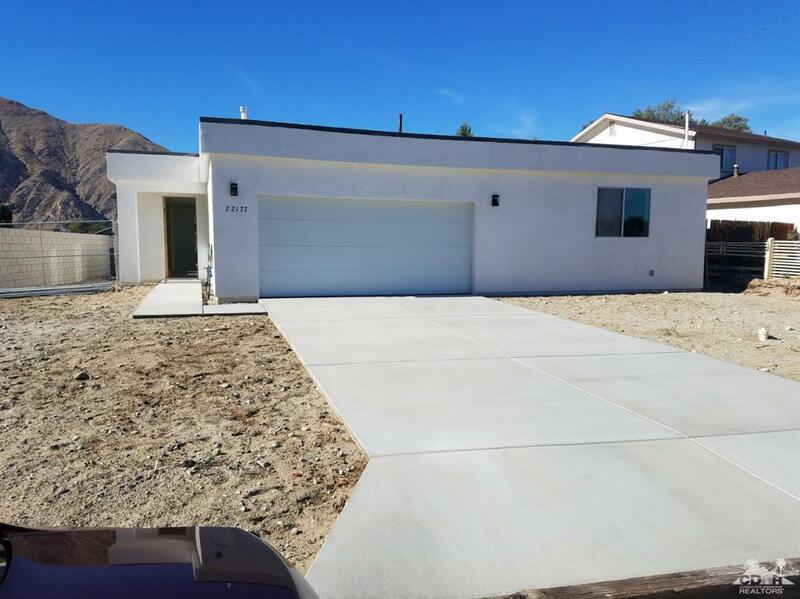 New construction, 3 bedroom home, 1844 Sq. Feet, fee simple in North Palm Springs. No leased land and no association dues!! 9 ft. ceilings and tiled throughout with quartz countertops in open kitchen. Spectacular mountain views of San Jacinto. Easy access to 10 Freeway, Palm Springs, Tram, hospital and casinos. Listing provided courtesy of Marilou Rowe of Homesmart Professionals.